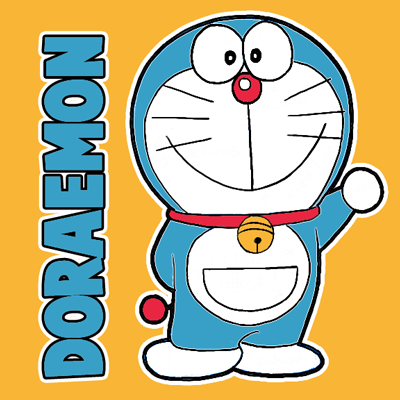 Doraemon is a Japenese Manga TV show about a robotic cat (named Doraemon) from the future. He comes back from the future to help a boy named Nobita. 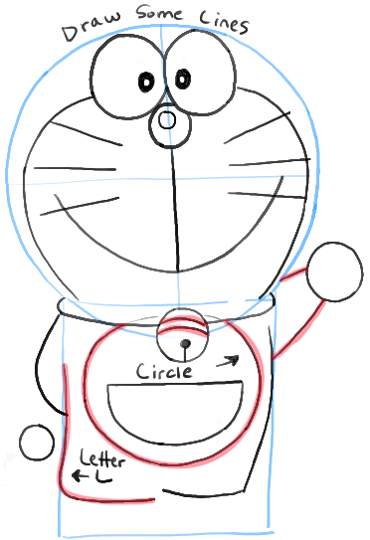 Today we will show you how to draw Doraemon with easy to follow illustrated steps. 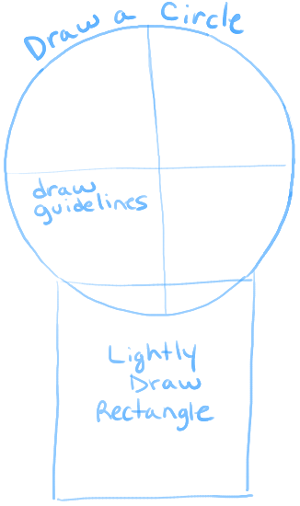 – Lightly draw a circle on top of a rectangle. 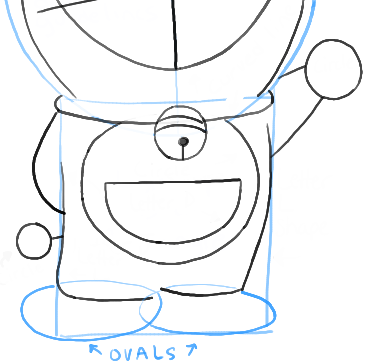 Draw guidelines within the oval to help you place facial features. 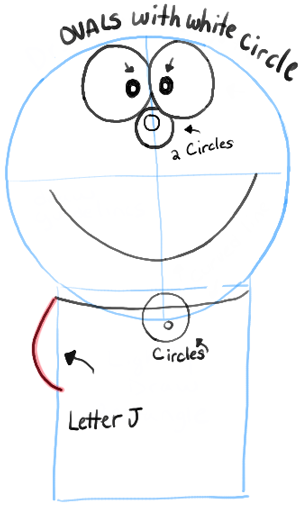 – Draw 2 ovals, side-by-side, to look like a sideways #8 shape…for the eyes. – Draw a curved line for the mouth and for the collar. – Draw a black circle for the pupils and a white circle for the highlight of the eye. 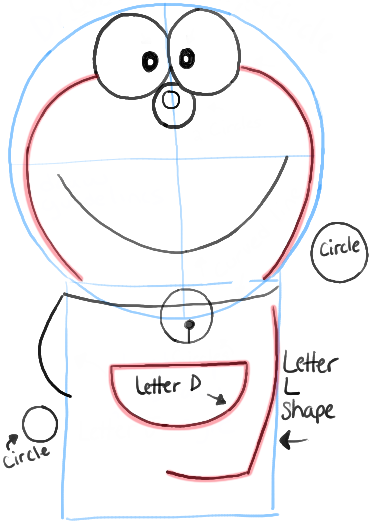 – Draw more circles as well as a letter ‘J’ shape on the left side of the body. – Draw curved lines on both cheeks. – Draw a sideways letter ‘D’ shape for the pocket. – Draw a backwards letter ‘L’ shape on the right side of the body. – Draw a circle under the left arm. – Draw a few lines on the face. – Draw 2 curved lines and one straight line on the bell. – Draw a letter ‘L’ shape for the left leg. – Draw 2 lines for the right arm. – Draw 2 ovals for feet. 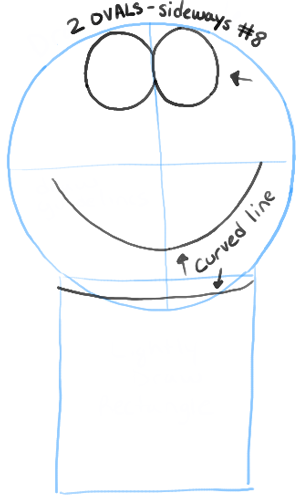 – Draw a curved line for the collar. – Draw a letter ‘s’ shape in between the feet. Erase guidelines and darken lines that you are going to keep. 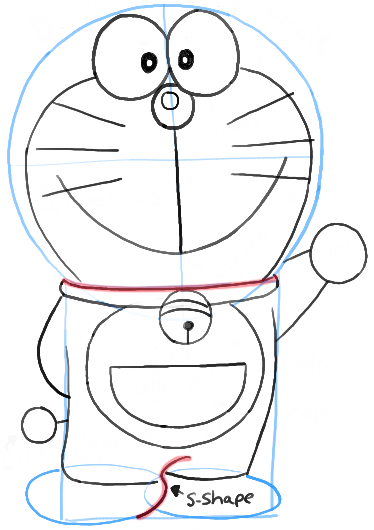 I hope that your Doraemon turned out really well. You can show off your robot cat to all of our friends. I hope that you had fun! What a neat arleitc. I had no inkling. its very helping in my drawing exam . 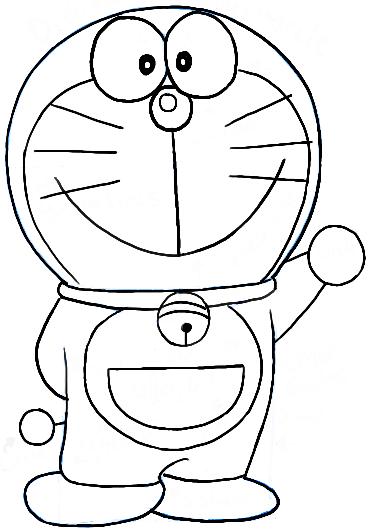 This article was written on 17 Jan 2014, and is filled under Doraemon, Manga TV Shows.